May I ask a SPIRITUAL question? Weight-wise, have you lost your way? We honor the Lord by honoring — and attentively managing — the many gifts He has given us. Like the precious and irreplaceable gift of our body. I spent a lifetime being overweight. And then I realized the answer to weight loss was hiding inside me. I just hadn’t known it! 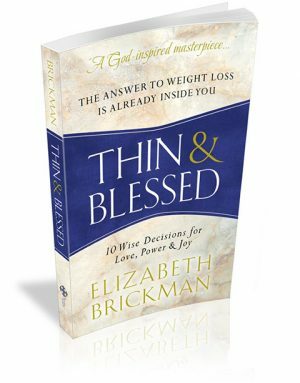 Join me for a 21-Day THIN & BLESSED CHALLENGE starting tomorrow, May 8, 2017. It’s free. It’s quick. It may change your life. Let’s show ourselves to be powerful women and men of God who can set things right in our bodies and minds… and have some fun and joy along the way. May 7th, 2017 | Posted in Thin & Blessed | © Copyright 2019 The Trusted Author.